Are you looking for a safe and painless way of skin rejuvenation? UNIDENT UNION Dental Spa offers Zaffiro thermal lift – a treatment loved by celebrities. Zaffiro is a breakthrough laser treatment for skin thermal lift. This safe and non-surgical treatment rejuvenates and firms the skin and eliminates its sagging. 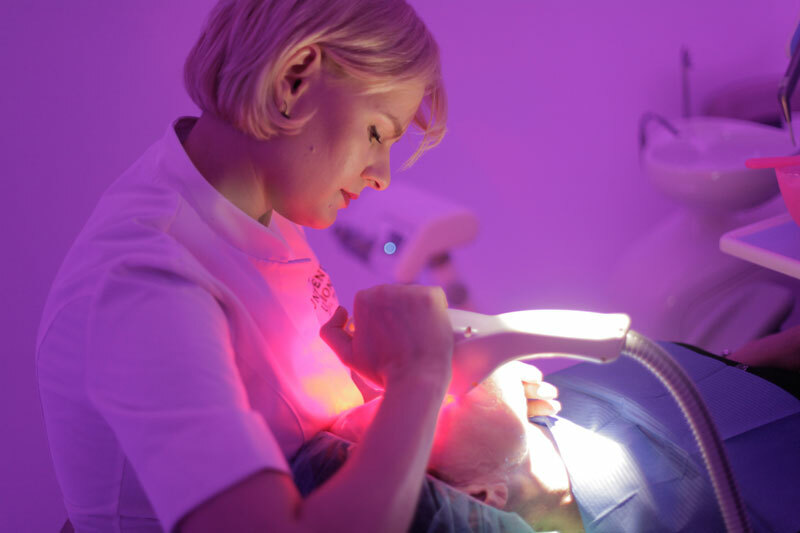 A painless procedures, the treatment leaves no marks on the skin and hence can be carried out any time during the working week without worrying about the way your skin will look after the procedure. That is why it is known as a so-called lunch-time treatment. Zaffiro uses infrared radio frequency waves with specially selected frequency penetrating the deep layers beneath the skin. The heat causes the collagen fibers to contract and regain their youthful elasticity. 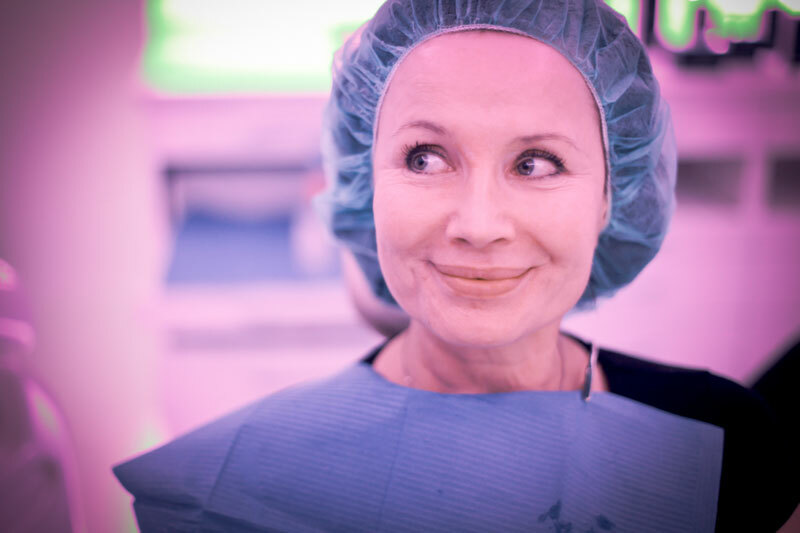 The skin becomes more elastic and the wrinkles become smoothed – both can already be seen during the procedure. The long-term results of the treatment include building of the new collagen fibers which thicken the aging skin. The results of the thermal lift are more visible in 3-6 months after the treatment. Hence, the skin restores its youthful appearance during the six months following the procedure. What does the Zaffiro treatment look like? The treatment is painless and the patient feels no discomfort at all. After the treatment the skin looks natural and skin irritation or redness (disappearing after a few hours) occurs very rarely. The procedure is carried out with a head tip made of sapphire. It emits infrared waves at 65°C. The cycle of cooling and warming lasts approximately 12 seconds and the patient feels no discomfort. The Zaffiro thermal facial lift takes an hour to complete. The lack of skin elasticity on the face, neck and cleavage as a result of aging. Or as a result of substantial weight loss. Bad skin condition on the neck and the breasts. Loss of a youthful face contour. The procedure can be carried out regardless of your skin phototype, including tanned skin or with dilated capillaries. It can be used as a preventive measure in patients aged 25-35 (1 treatment). 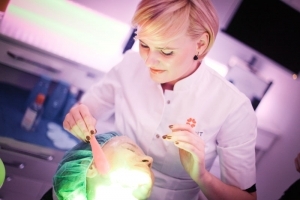 A series of facial treatments (approximately 4) is recommended for patients over 35 years of age. It is also recommended to do a repeat series after 1.5 years. Zaffiro is highly recommended as an anti-aging treatment for men. What are the results of Zaffiro? Zaffiro delays skin aging. It eliminates face and neck skin sagging, improves the face oval, lifts the sagging cheeks. The treatment also smoothes the nasolabial folds and wrinkles, increases the skin’s tightness, firmness and elasticity. It improves the look of the skin on the neck and the cleavage. In the two-week period following the use of fillers (Botox, Restylane etc. ).